It was my niece’s 3rd birthday and what better way to celebrate than to have her favorite rhyme come to life. The idea was that the nursery rhyme would come out of the book and tell the whole tale. The book included hand painted script and out of the book rose 3 walls. The top most wall where the Humpty Dumpty happily sat all happy and joyful. The middle angled wall showing the poor Humpty Dumpty in shock over his mishap and about to fall. The bottom wall where we see the castle where the poor Humpty Dumpty has fallen and broken, as well as all the king’s horses and men perplexed at not being able to fix poor Humpty Dumpty and put him back together again. 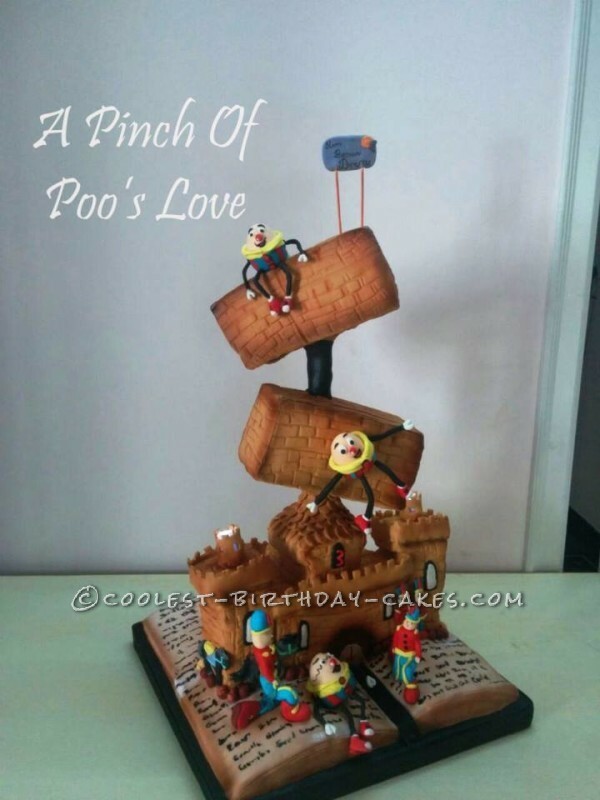 All levels are cake – the book, the castle, and the steep angles at which the walls are created for Humpty Dumpty to sit and fall. 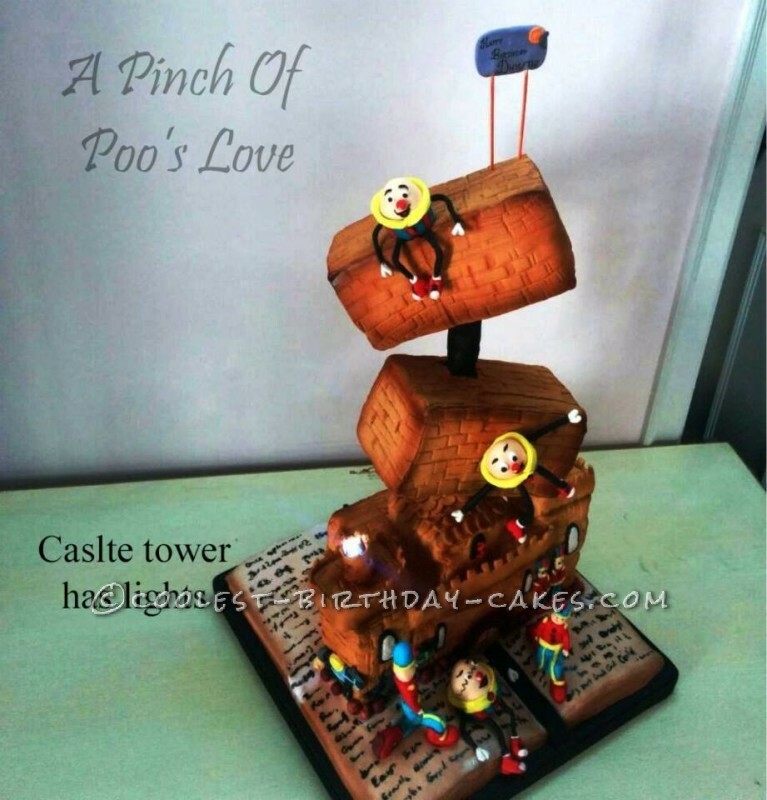 The book and castle were made of moist chocolate sponge cake with rich dark chocolate ganache and covered in fondant. The middle wall was made of eggless vanilla pound cake in chocolate ganache. The top tier was made with Vanilla cake iced in vanilla buttercream. 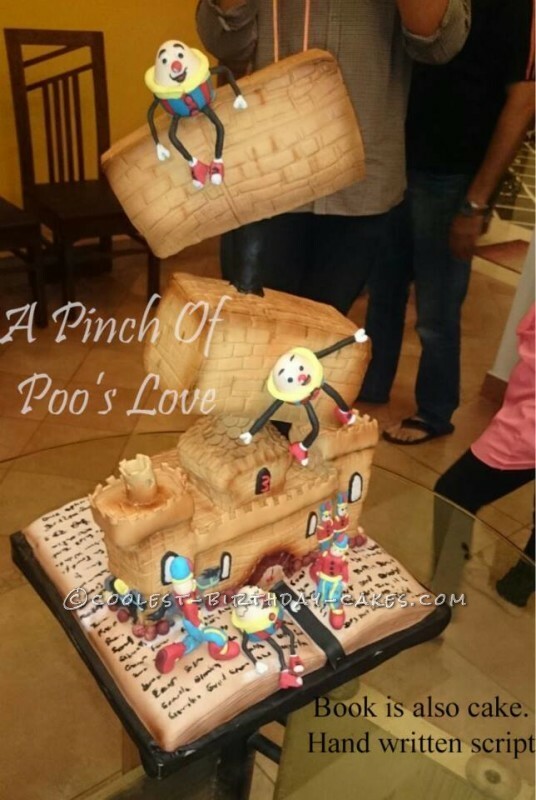 All of the characters were handcrafted and decorated using gum paste and fondant. 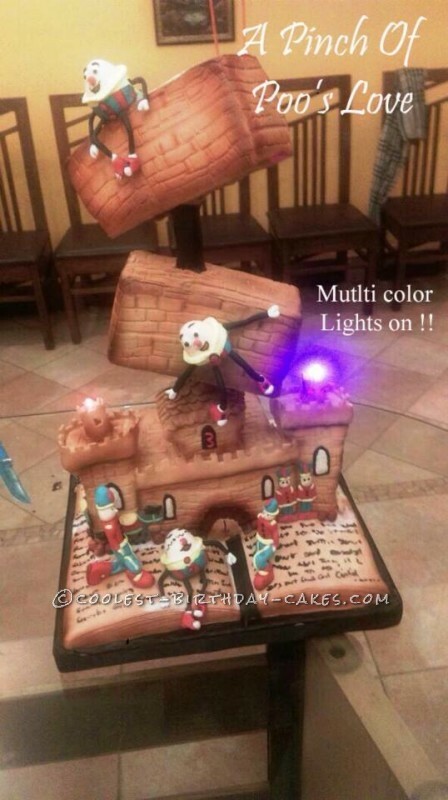 To bring the cake to life a lot of airbrushing was done and since it was for a kid, how could I not light up the castle. The castle towers have lights, added especially for the little one. 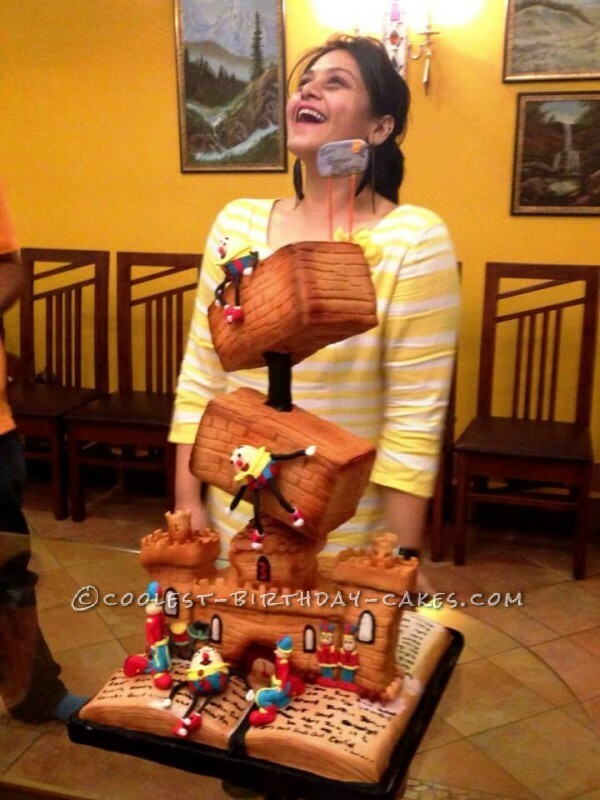 My joy doubled when my whole family and all my loved ones surprised me by being at my place to welcome me and the cake. It was total satisfaction for a hobby baker like myself. Four days of work feels great!